I just got back from a great trip I highly recommend a vacation. 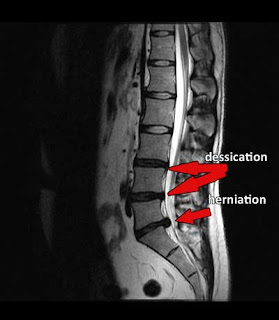 back to the topic at hand, Spinal Decompression for herniated discs. Her question was Do I guarantee treatment will work for her? I never met her nor did I conduct a thorough exam or review her MRI. When someone consults with me I want to be sure that they qualify for the procedure and meet the criteria to obtain a favorable outcome, I give patients my word that once I accept them as patients I will go out of my way and exhaust all Non Surgical methods to ensure success. But I do not give money back, I don't know of any ethical doctors that do, If your doctor tells you he will refund you money of you are not happy get it it writing and have an attorney look at it. Also I have been getting emails how much I charge and why the insurance companies don't pay for it. Insurance companies are slowly starting to pay for this service but on a limitied basis, I have seen some Workers Comp cases pay and maybe one or two Insurance like Cigna but it really depends and most times patients are paying the majority of cost.